One of the challenges of owning a small house is not having enough space for entertaining more than a few people at a time. I actually see this as an advantage and an opportunity. 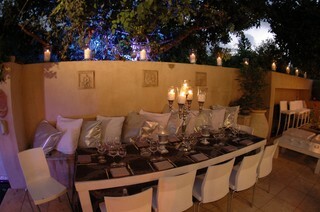 It’s an advantage because you won’t be the one who’s always obligated to host big family and social events. Not only are these a lot of work, but they are also expensive and put a lot of wear and tear on your home. To meet your social obligations or desire to entertain, you have the opportunity to express your creativity since you live in a small house. 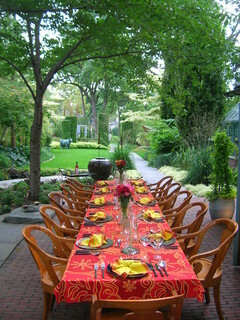 As I’ve mentioned in other articles, one the ways is to hold your social gatherings at a park, community facility, or restaurant. 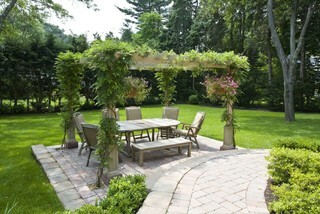 If you want to do something closer to home, build a nice, permanent outdoor dining room in your garden! 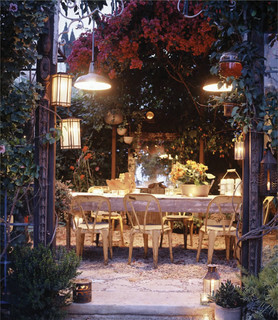 Since space is limited on the inside of a small house, your yard is the place to add living spaces or garden rooms, as I like to call them. 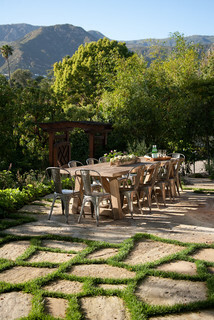 An outdoor dining room is one of the best uses of a garden room. 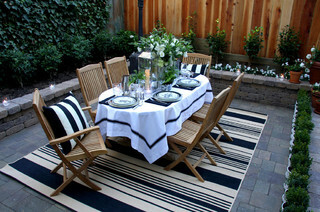 Seize this opportunity and fuel it with your keen desire to entertain and maybe impress your guests a little, by getting creative with your outdoor dining room design. Make it pop! 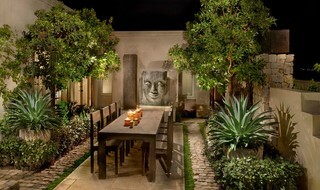 Make it more exciting than what you might find in a traditional (boring) dining room.